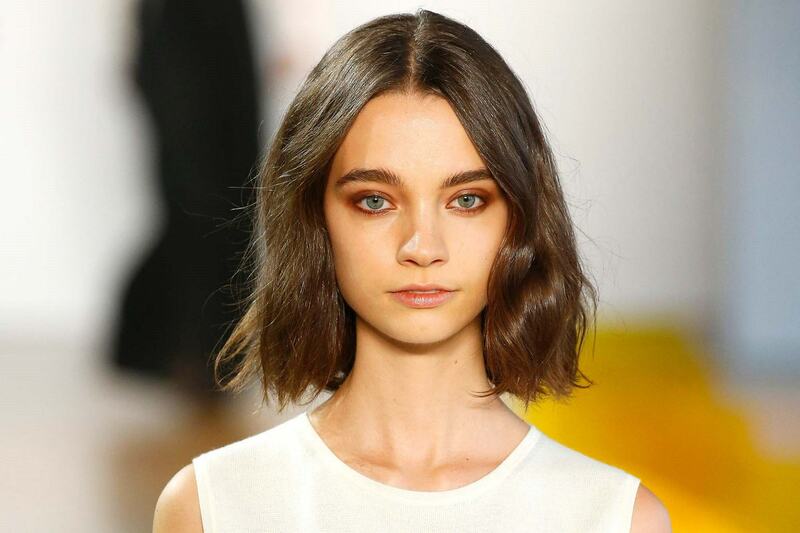 Steal some runway looks by checking out these New York Fashion Week hair pegs. Whether you have short or long hair, we have a hairstyle pitch for you. New York Fashion Week is one of the most anticipated fashion events in the world. Anybody who is a somebody in the fashion world is there—designers, celebrities, fashion icons, and influencers. It’s like an explosion of style inspiration, including makeup looks and hairstyles. 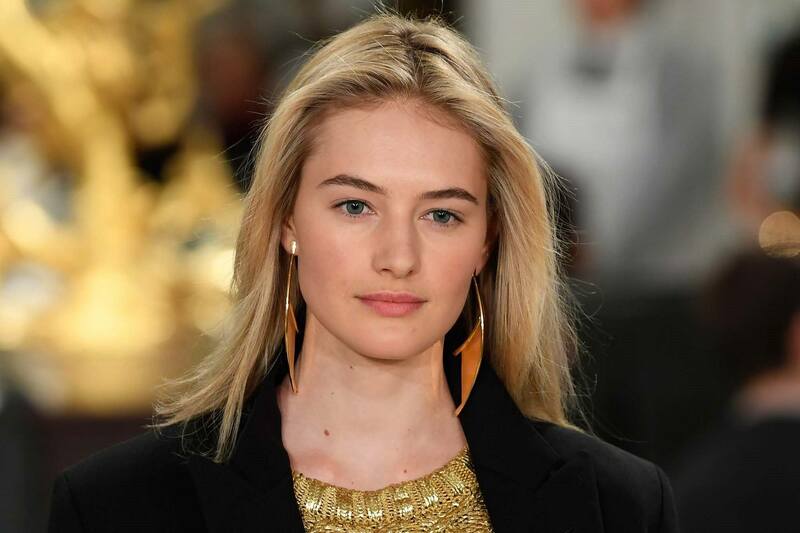 And because we want to give you the best of all things hair, so we’ve rounded up the best New York Fashion Week hair ideas to help elevate your everyday look. You may think that a blunt haircut looks so basic and plain, but what you do not realize is that it can be a blank canvas for more exciting things. Spritz sea salt spray and scrunch your hair, and you’ve got yourself a textured look. Even more so when you add full bangs—instant edgy hairstyle that is so runway-ready! 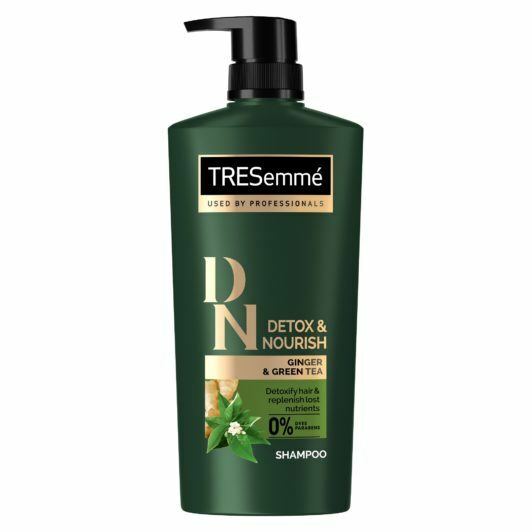 Editor’s tip: Keep your hair soft, clean, and healthy by washing it with TRESemmé Detox and Nourish Shampoo and TRESemmé Detox and Nourish Conditioner. These products have natural ingredients such as ginger and tea that help nourish your hair strands and help bring back lost nutrients. 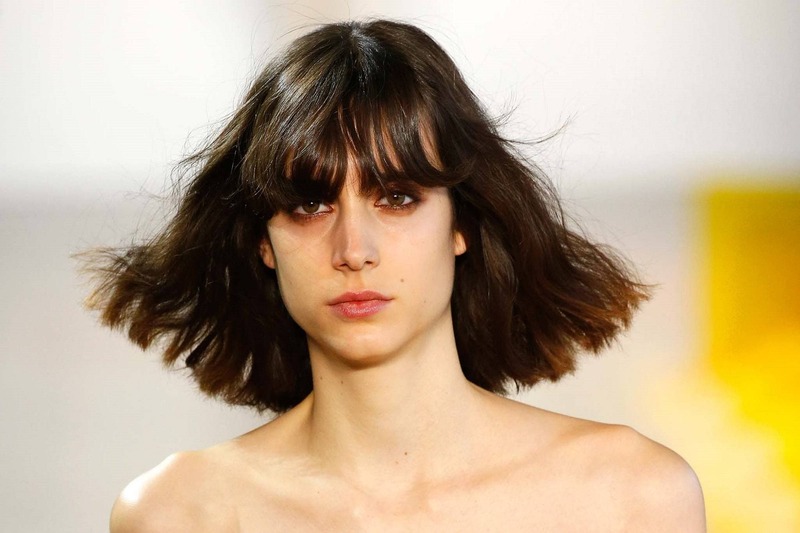 You can also try the more low-key cousin of the blunt haircut with bangs. Do away with the fringe and focus on adding texture and volume to your bob or lob. Part it at the center, especially if you have a perfectly proportioned oval face to show off. You’ve seen, or maybe even tried, a pixie cut with long fringe, but have you heard of a pixie cut with wispy bangs? This laidback type of fringe suits super short hair as well. 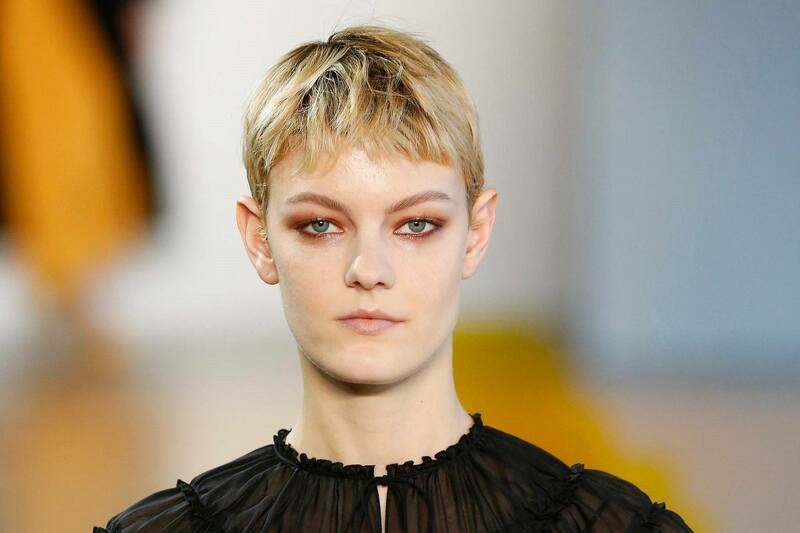 Wispy bangs can help add texture to a flat-looking pixie cut. Keep the focus on your fringe by making the rest of your hair neatly blow dried with just a little bit of texture. Editor’s tip: When you want to add texture to any part of your hair, a few spritzes of TONI&GUY Sea Salt Texturising Spray will help do the trick. Long hair isn’t the only hair type that you can tie in a ponytail. 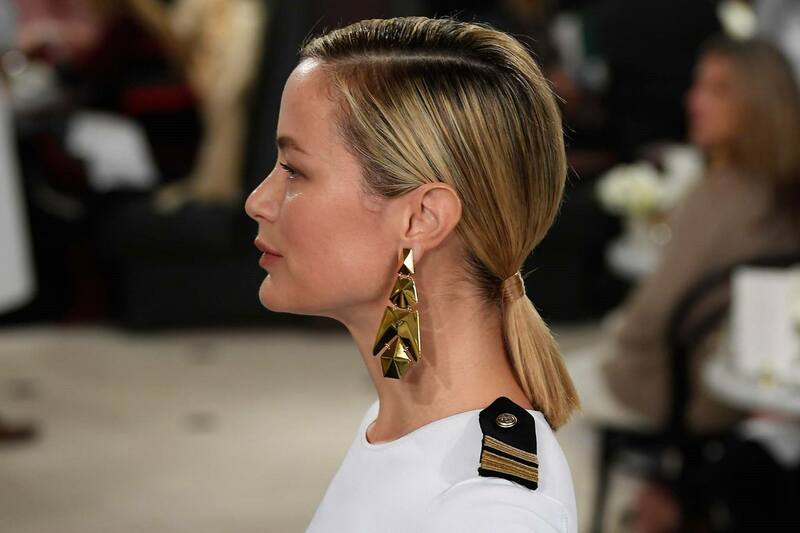 Sleek tied hair is one of the hottest hair trends this 2019, and this applies to medium hair, too. To achieve this, straighten your hair with a flat iron, put it in a low ponytail, and wrap a small section of hair around your hair tie for a more polished look. Make sure frizz is out of the picture by finishing with hairspray or hair serum. If you a heart-shaped or an inverted triangle face, a deep side part can help balance out your wide forehead. A side parted updo, like a low ponytail or a low bun, is a good hairstyle choice. This can also work as a day-to-night look; just switch to a darker lipstick once you’re ready to party. Add oomph to a casual look by going for a blowout hairstyle. You don’t have to create waves or anything fancy. Just blow dry your hair close to the roots, flipping your hair if necessary. You can also push hair to the left side while you blow dry the right side, then vice versa. Then, finger-comb to style and voila! Say hello to fuller-looking hair. Editor’s tip: Spray TONI&GUY Sky High Volume Dry Shampoo on your roots before blow drying to give your hair more body and volume. Got natural curls? Let your hair down—literally. You don’t need to do much to style it. Keep it nourished and moisturized so your curls look sleek. Also, remember to brush your curly hair properly to get rid of tangles without damaging your hair. Editor’s tip: When your hair starts to look dry and lifeless, apply Cream Silk Standout Straight Leave-On Cream to refresh it and make it shiny. 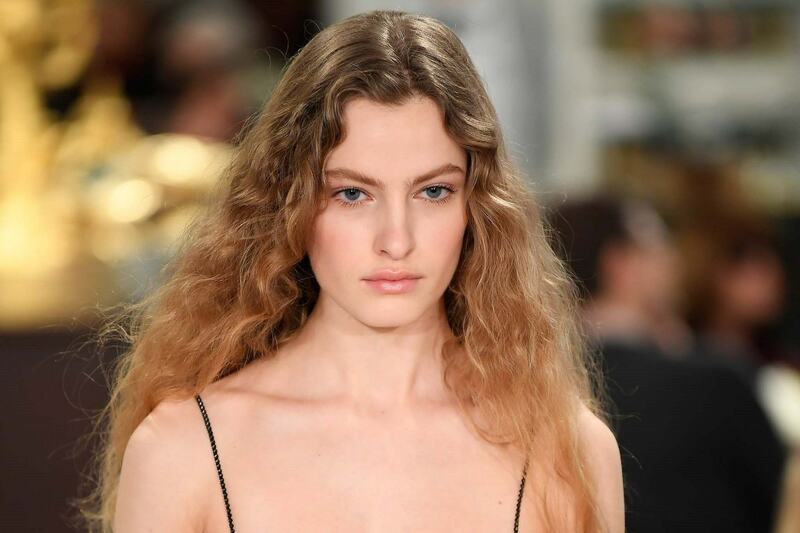 Rock these New York Fashion Week hair ideas and turn heads wherever you go. Check back soon for to get the latest hairstyle ideas, trends, and hair care tips. Next read: Get inspired by these Paris Fashion Week looks that we can’t stop talking about. Make a regular day a runway day when you cop these hairstyles. All Things Hair Live x Jay Wee: Let a pro style your hair for free!